Euonymus, more commonly known as spindle, is an evergreen or deciduous plant from the staff vine or celastraceae family. The deciduous euonymus europaeus is native to large parts of Europe and is considered to be a very ornamental plant due to its beautiful autumn colours and bright pink or purple berries. These berries cannot be consumed by humans, as all parts of the spindle are very poisonous for humans and most animals alike, but birds like to eat them and help disperse the seeds of the species that way. The European euonymus species, however, is not suitable for hedging. 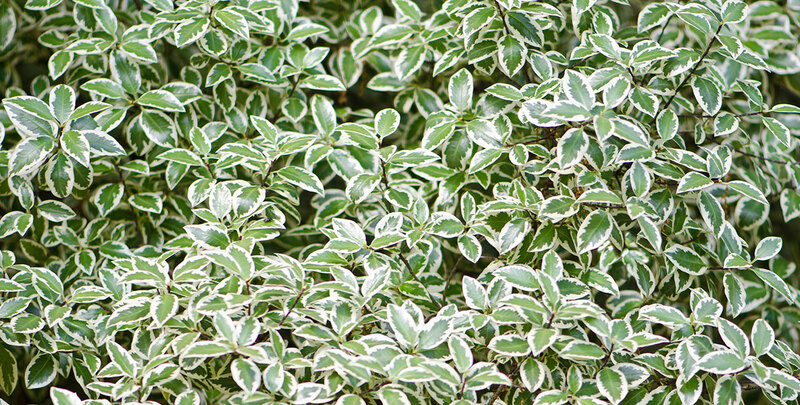 The species commonly used in garden hedges is the euonymus fortunei or Fortune’s spindle, an evergreen species of spindle originating from East Asia. Most gardens in our part of the world have a tendency to get a little dull and lifeless during the winter months. This is mainly due to the deciduous nature of most native species, which causes them to shed their leaves when the cold season starts. Evergreens hold on to their foliage in the winter, but most evergreen species that are common in the UK are rather plain to begin with. While this is perfectly natural, it would be nice to have a way to add some colour to your garden when everything else has withered away. Euonymus species may provide some solace here. 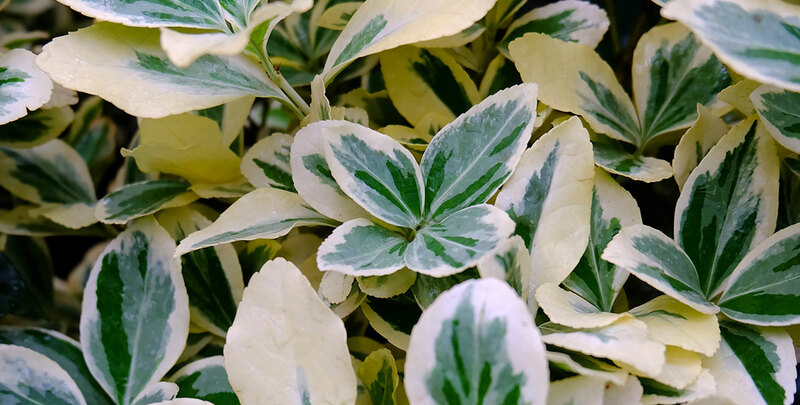 Variegated varieties have handsome leaves with colourful edges, which will remain that way throughout the winter. In very harsh winters, the leaves may become tinged with red. The common name of this genus refers to its relatively hard wood, which was traditionally used for the production of spindles for spinning wool, while the euonymus fortunei species is named after the well-known Scottish botanist Robert Fortune, who brought the plant to Europe from East Asia in the nineteenth century. It originates from Japan, China, the Philippines and Korea. That was when the species’ history as an ornamental plant began, but the history of spindle trees in Europe actually goes back a lot further. Before the Common Era, for instance, spindles were widely planted because they were considered to have magical and predictive powers, while during the Middle Ages, it was commonly used as a remedy to treat head lice. As the need for these more or less practical purposes has diminished over the years, spindle varieties have become increasingly popular for their ornamental value. In fact, it is even possible to influence the appearance of the more colourful species to a certain degree, as its foliage will become more colourful when planted in a sunny position and greener when in the shade. And since the toxicity of spindles makes them a rather uncommon sight among public parks, a garden with a spindle hedge will certainly stand out. This way, spindle has been given a second chance as an ornamental plant, now that its practical uses have become obsolete. Euonymus is an easy-going plant and will grow in a wide variety of soils, as long as they are well-drained. The leaves will be at their brightest if your spindle hedge is planted in the full sun, but it will also thrive in semi-shade or full shade. The species is even tolerant of exposed sites. Spindle has a bushy habit, creating a low-growing (edging) hedge and forming perfect ground cover. It can also be grown as a specimen in a pot if space is an issue. Euonymus hedges occasionally produce small, insignificant flowers and berries. 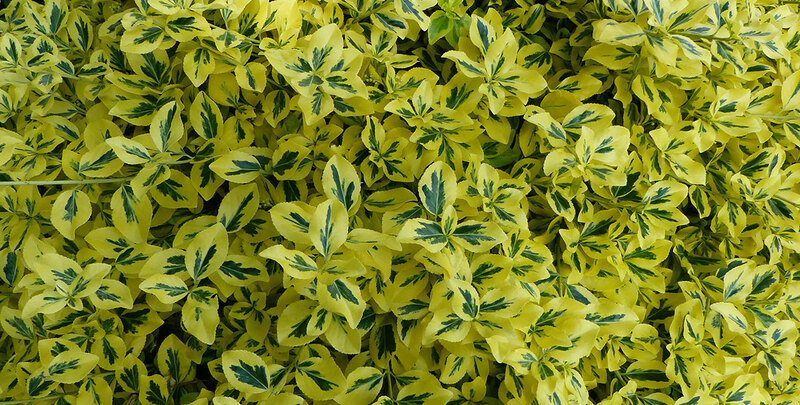 Variegated varieties, such as the Emerald Gold and the Emerald Gaiety, can be combined with non-variegated varieties, such as the ‘Vegetus’, to create a handsome mixed hedge. Spindle is generally not a quick grower. It is a very compact shrub with a dense growth habit. It will reach up to around 1 metre in height. The non-variegated ‘Vegetus’ will reach its full height slightly more quickly than its variegated relatives, which is something for you to take into consideration when deciding which variety you would prefer for your garden. Euonymus hedges are easily pruned in May and a second time before autumn comes around. Since they are very tolerant of pruning, this should not be much of a problem. 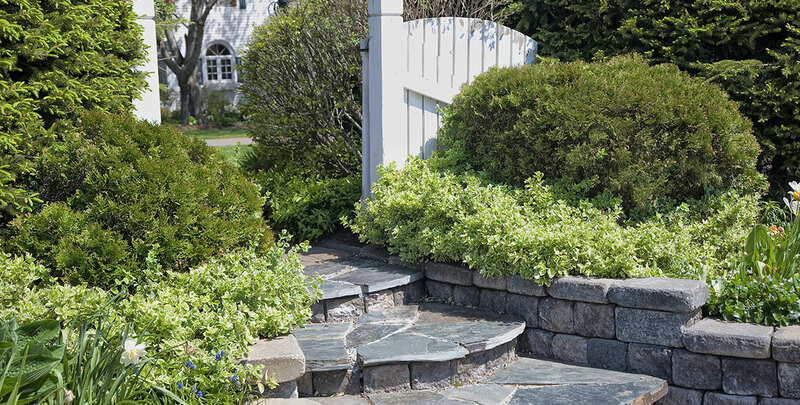 Besides bi-annual pruning, spindle hedges require very little maintenance. We would still like to emphasize the fact that all parts of spindle species are highly poisonous, in case you have animals or children walking around your garden. Despite no longer being considered a utility plant, spindle species are still widely appreciated for ornamental purposes. Due to its attraction to birds, bees and butterflies, as well as its evergreen nature, the different varieties of the euonymus fortunei are guaranteed to make your garden a little livelier throughout the entire year. It is possible that some leaves will turn red if a winter is particularly harsh, but generally, they will retain their interesting looks – green in the middle, brighter near their finely serrated edges – throughout the cold season. Fortune’s spindle can even grow as a vine when provided with proper support. The spindle varieties on our website have an average growth rate of about 10 to 20 centimetres per year. Since they rarely reach heights of over a metre, they make excellent low border hedges with a unique, fresh appearance. And since they will thrive in a wide range of soils and sites, there will almost certainly be a spot for this excellent hedging plant in your garden.